I'm hoping that all of you have discovered the high-tech, whiz-bang joy of Almost Human by now. It's not a perfect show, but it is a fun one. 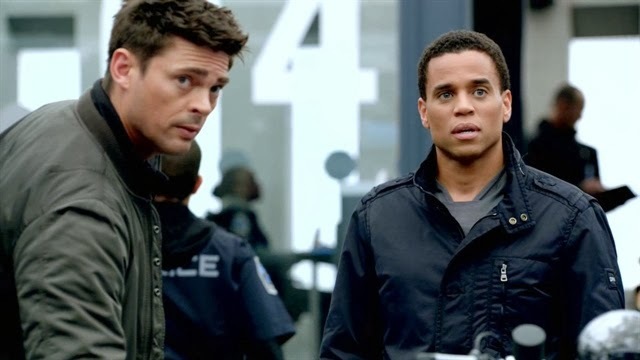 Karl Urban's cop John Kennex and his android partner, played by Michael Ealy, fight crime in a near future, Blade Runner-esque cityscape full of recognizable crimes made possible by almost-but-not-quite-realistic technology, from targetting bullets to sexbots (of course) to self-destruct black market organs. Kennex storms around the precinct with an air of perpetually crabby exasperation. He doesn't always play by the rules, but he always nabs the bad guy, sometimes while quipping. I immediately responded to the character, and I couldn't figure out why. Why did I find him so immediately enjoyable? ... maybe because he's Dean Winchester? 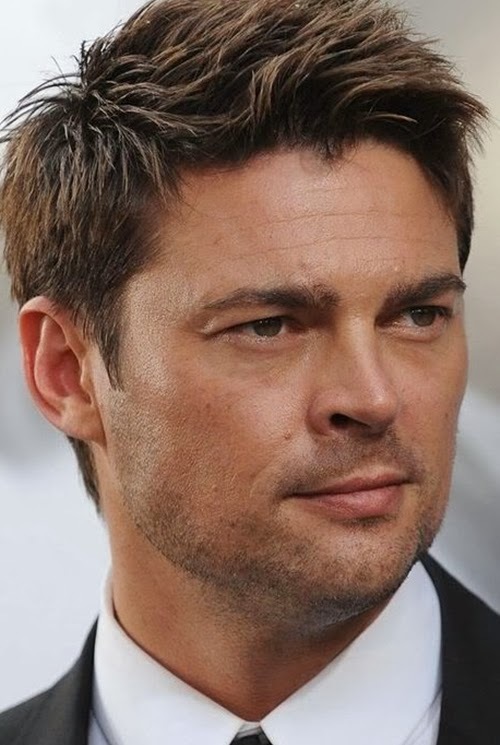 I'm not just talking Karl Urban's physical resemblance to the Supernatural star, although they certainly have that. Kennex is damaged and difficult. He's got a problem with authority. But he's competent and dedicated, and underneath it all, he's got a good, loyal heart. Heeeeey, that sounds familiar. Kennex is Dean 2.0. Dean in the near future. Dean working from inside the system, only here he's fighting high-tech terrorists rather than demons and beasties. The voice, the attitude, the swagger. It's all there. First, take a gander at Kennex. Am I nuts here? Those of you who watch both shows, help me out. 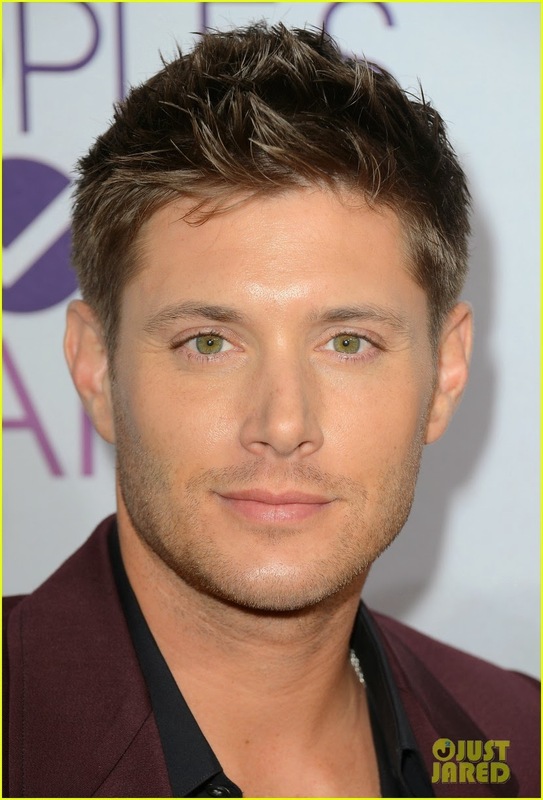 Are there actual similarities, or do I just constantly have Dean Winchester on the brain? I mean, I do, obviously. But is it starting to affect my viewing of other shows? Agree with you Sara.. this is not one of their best episode but really fun that I can’t help my self to watch it over and over. Just like to share an article.. How to Dress like Dean Winchester if you are a woman, this page has great dress recommendation how to dress like Dean. Do you know how to sync setting in windows 10 operating system here on windows tutorial you will learn more about windows 10 related helps. I suppose Sam Winchester will deal with Death or. Roman find Dean and Cass before. I. Castiel meets The Ghost.